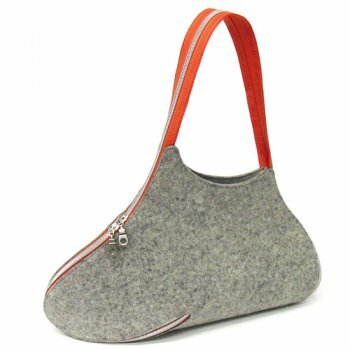 I just love these design innovation delights, handmade by Josh Jakus, with their hot colored zippers and felted wool of recycled factory waste fiber. In shoulder bag, carry clutch and tote bag versions. Zip to it!